Chasin' Mason: Four Things that Never Made the Blog. 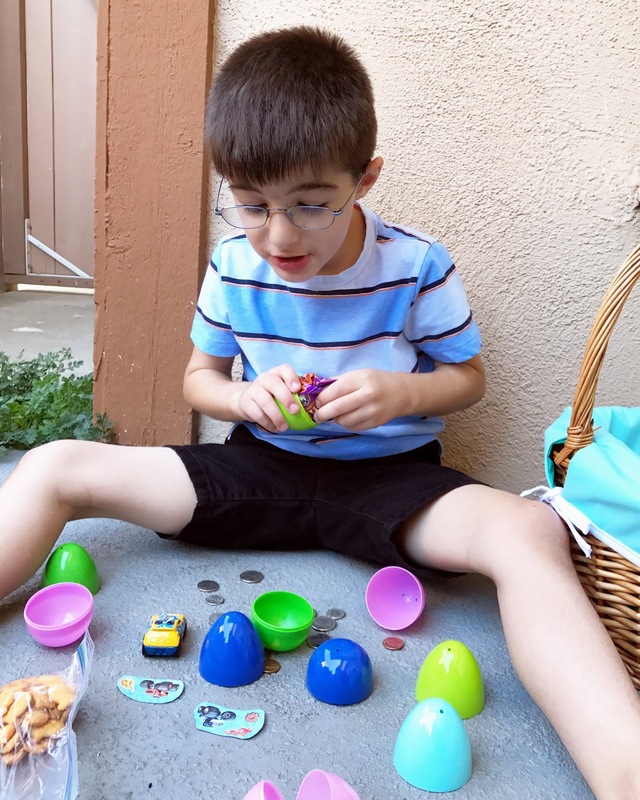 I shared about our Egg Hunt at California Adventure, but I never actually shared Easter. The day. I know this was over two months ago, but for my sake, I wanted to make sure I shared. I won't get too detailed, because really everyone knows what happens on Easter, but I will say this. 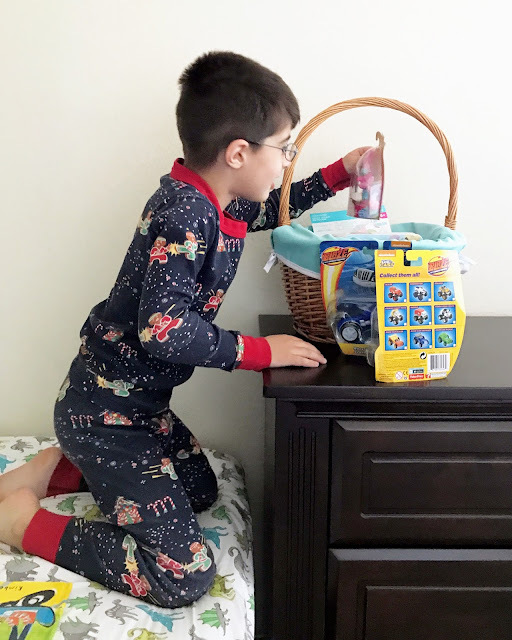 Easter morning, I wanted to make it special for Mason. 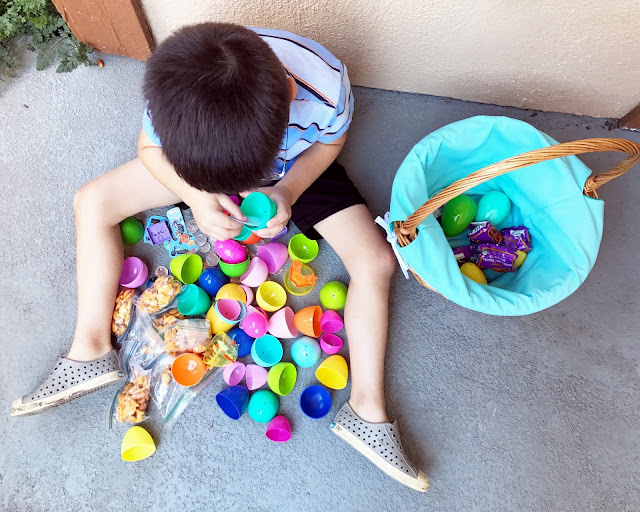 I filled a basket with some goodies that he opened right in the morning and then I also filled a bunch of eggs for him and did a little egg hunt outside our house after breakfast. 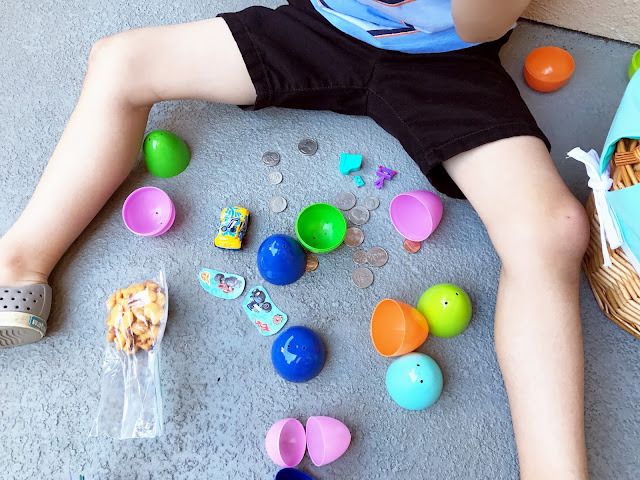 It was nothing fancy, but he loved opening all the eggs to find his favorite treats of fruit snacks and gold fish as well as some coins and some toys. Later that afternoon, we went over to Seth's mom's house for dinner and another egg hunt with all the cousins. Seth's sister and her family were on vacation, but all the other kids were there. 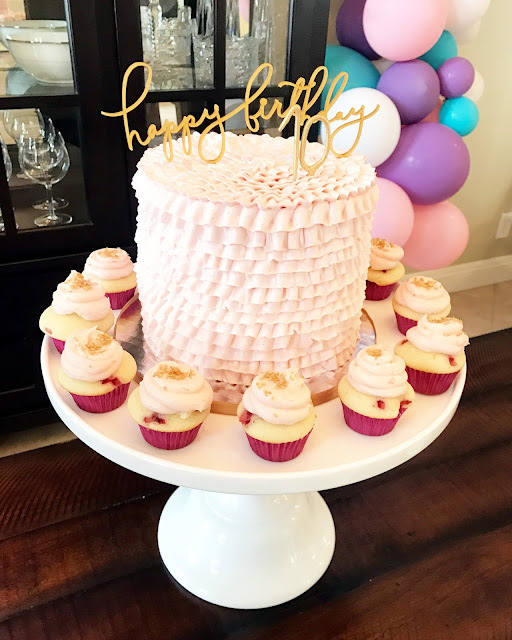 I actually think I shared a little bit about it here, but I didn't really get to share the pictures of the party like I wanted. 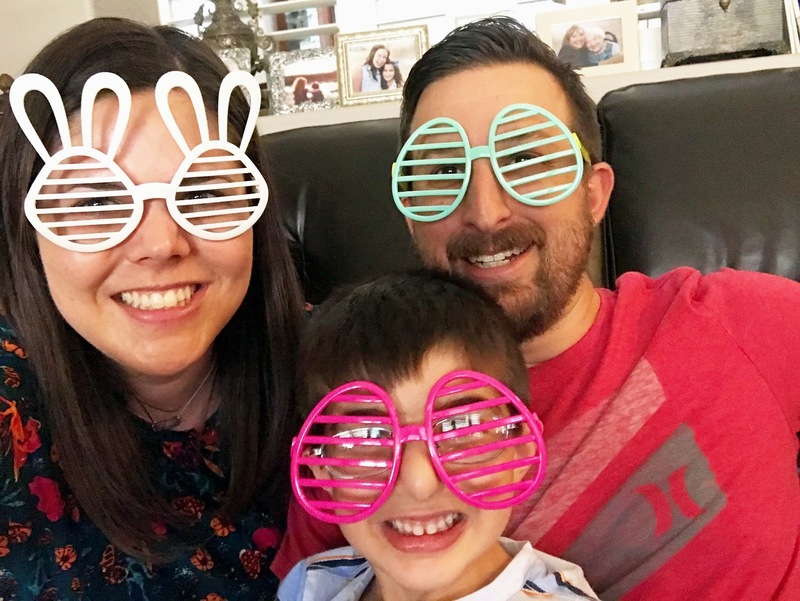 My oldest niece turned ten back in the middle of May, but she had a birthday party the weekend that we went to Palm Springs. So we left early that Sunday morning and headed back home to attend the party. 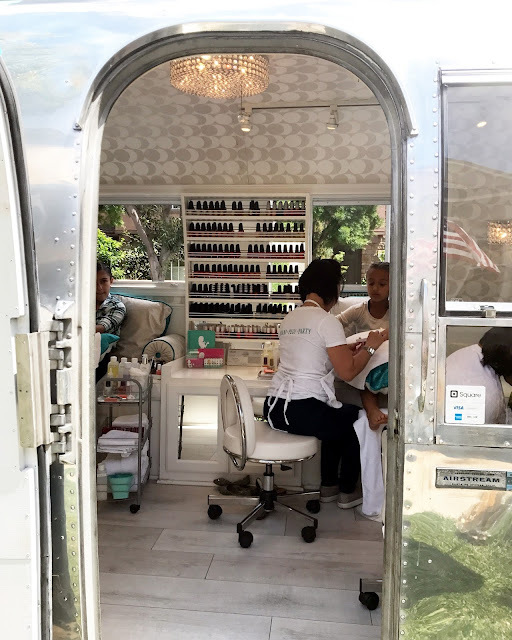 It was THE cutest spa themed party where my sister in law had a nail truck come give manicures and pedicures, the girls made their own foot scrub, and Seth's mom's best friend's daughter, who is a hair stylist, came down from Northern California and was giving up-dos to all the girls. It seriously was a dream party for a little girl (and an adult I might add, but sadly I did not get to partake in the activities so I was just insanely jealous of twelve 10 year olds). I wish I was ten and could have participated! If you follow me on any sort of social media, you know we moved. I also think I mentioned it on the blog a time or two. Well, it's official. We are officially in our new place. We are settling in well and things are getting better. 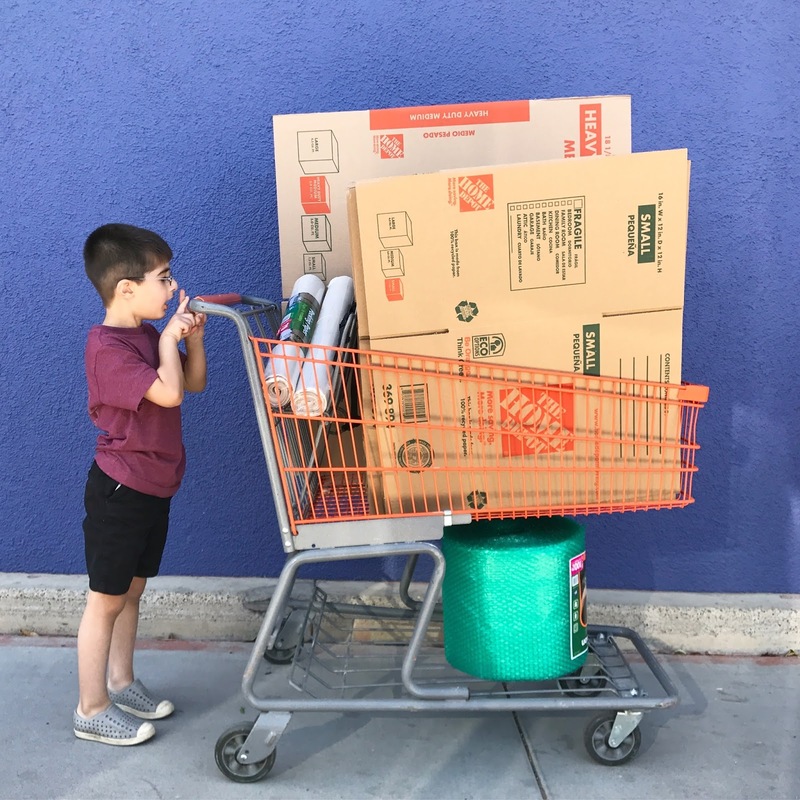 I do plan to do a more comprehensive moving post at some point, but for now, the long story short on why we moved (more the short, fact only version for the internet) is that when we moved in to our old place, we didn't really check in to the school around there before we moved. 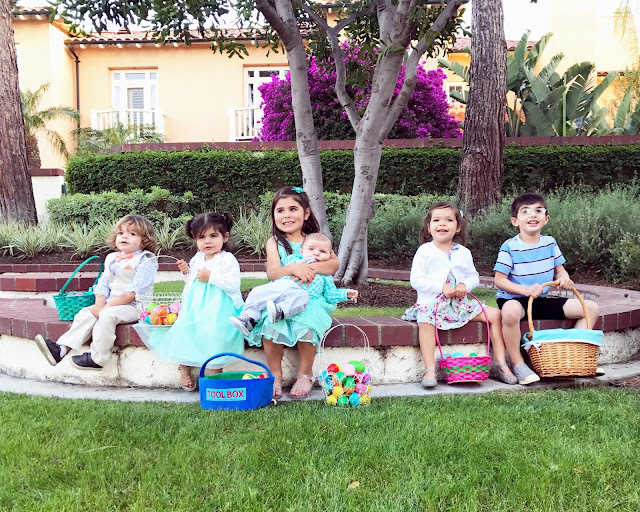 Mason was nine months old and kindergarten and elementary school was not at all on our radar. Fast forward to Mason getting older and we found out that the school wasn't the greatest, but we didn't really think anything of it. We figured we would move (hopefully because of buying a house) or we could just put in a transfer and we'd be fine. 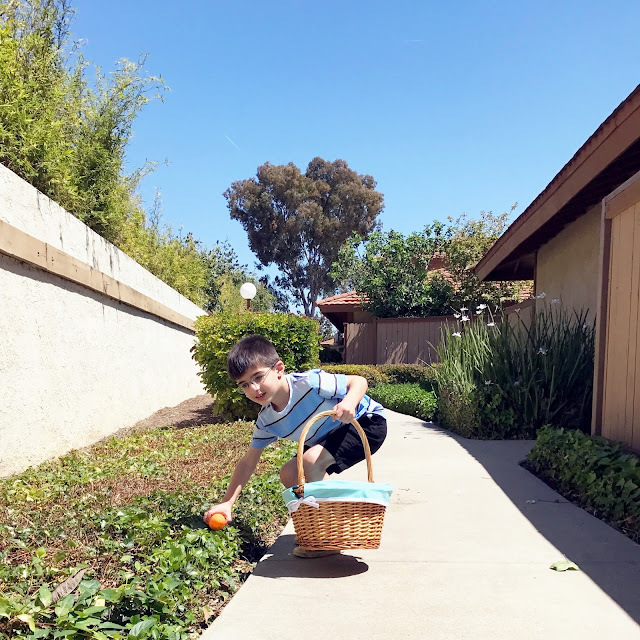 Fast forward again and it's this year and we haven't moved or bought a house and it's almost time to think about kindergarten registration, so I put in a transfer. And we waited. And we waited. And we waited some more. I got nervous. Everyone told me things would be fine. And we were denied. Cue me freaking out. 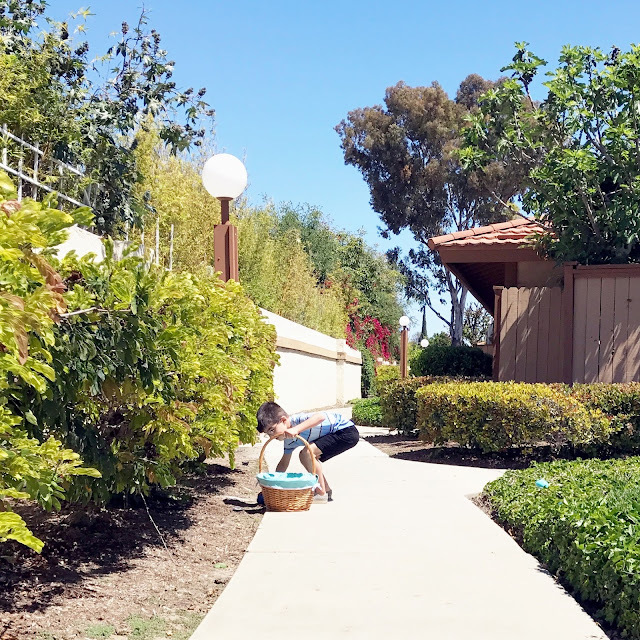 Long story, still cut short, we decided we didn't want to send him to the home school in our area, so we moved to a better area (not that we lived in a bad area before) with a better school. And I enrolled him. And he's all set for elementary school next year! Well, there's actually not really that much to that statement besides the fact that Mason finished speech for this school year. Since we transitioned him to getting speech services through the school district in December, they follow the regular school year and since the school year is over in some places and almost over in others, Thursday the 8th was his last speech class for this school year. I must admit that I was a little more sad than I thought I would be, mainly because these boys in this picture have been so wonderful the past six months. 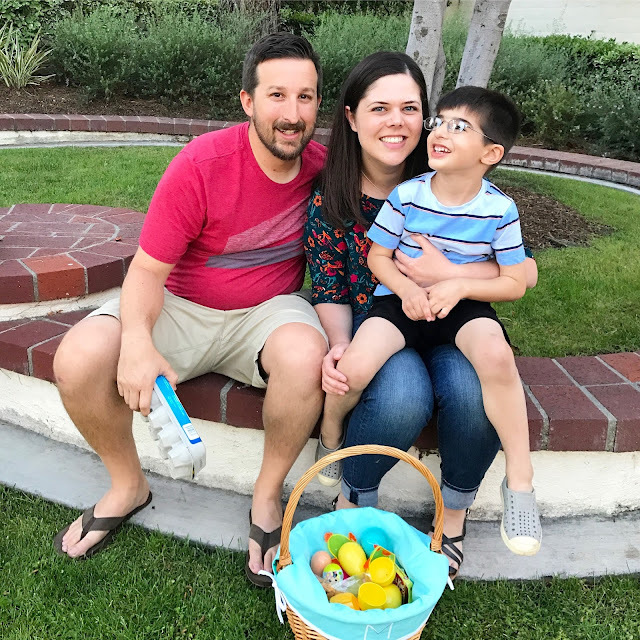 While we only saw each other every Tuesday and Thursday, Mason would talk about them constantly and was genuinely excited to go to speech class to see his friends. 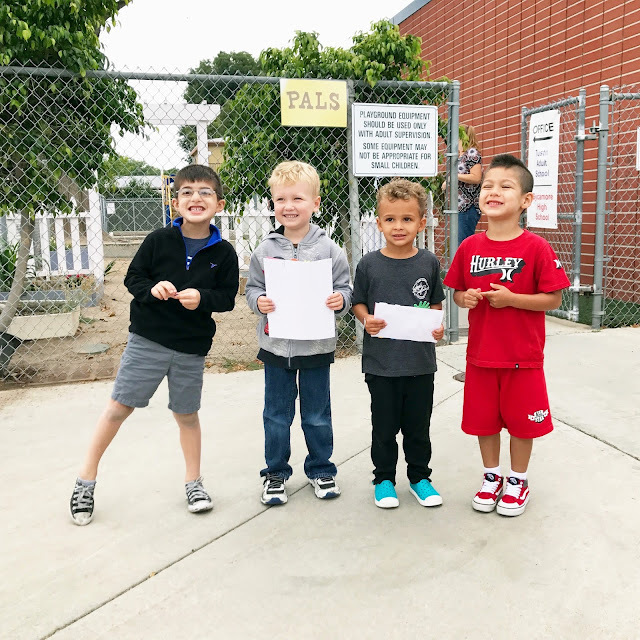 They all got along so well, and I truly wish we all lived in the same area so the kids could all go to kindergarten together next year. These boys will truly be missed, but hopefully we have have some play dates in the future to fill the void. Speech is not over for this little dude though and he will continue to get speech help in kindergarten in the fall. He won't be going to a separate school for it though, the speech teacher will just take him out of class twice a week for 30 minutes. It will still be in a group setting but smaller (if you can imagine smaller than four kids). I'm excited to see the progress he continues to make next year! More on moving, Mother's Day, and Father's Day to come soon! 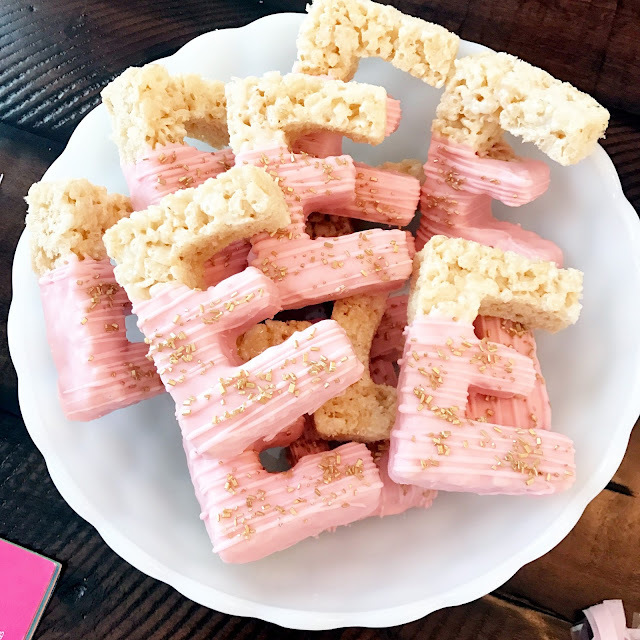 That spa themed party is pretty much the cutest EVER! Looks like y'all have been super busy and having a lot of fun too. The move, I could just give you a hug. Doing something no fun for his best interest. That is what good parenting is all about. 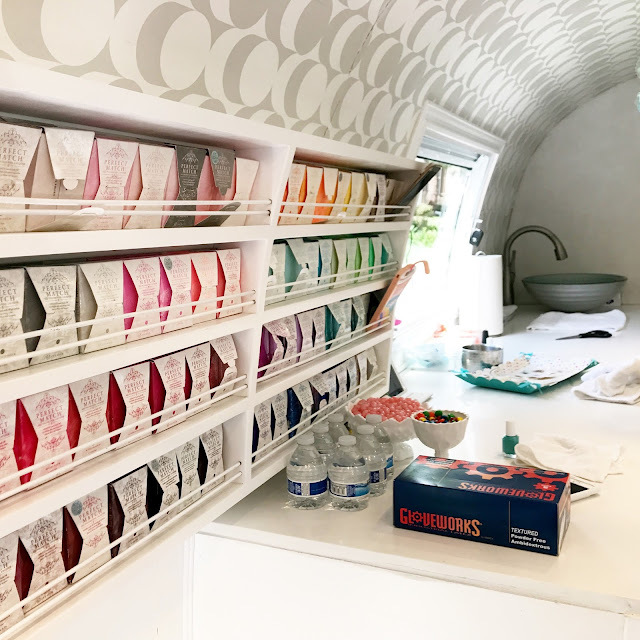 I want a nail truck party! 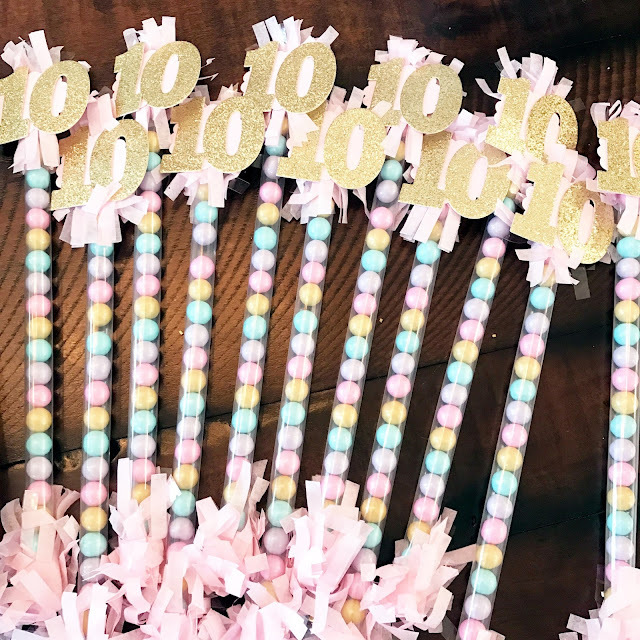 Love all the little details of your niece's party! And even more so, I love that Mason is wearing Christmas pajamas on Easter! 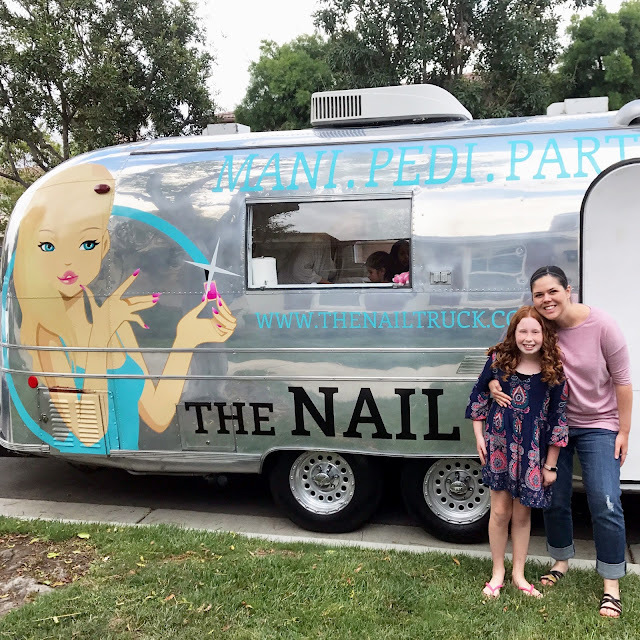 The Nail Truck - that's different. Ok... a nail truck?!?! That is a genius idea! I wish you could have done the nail truck too. 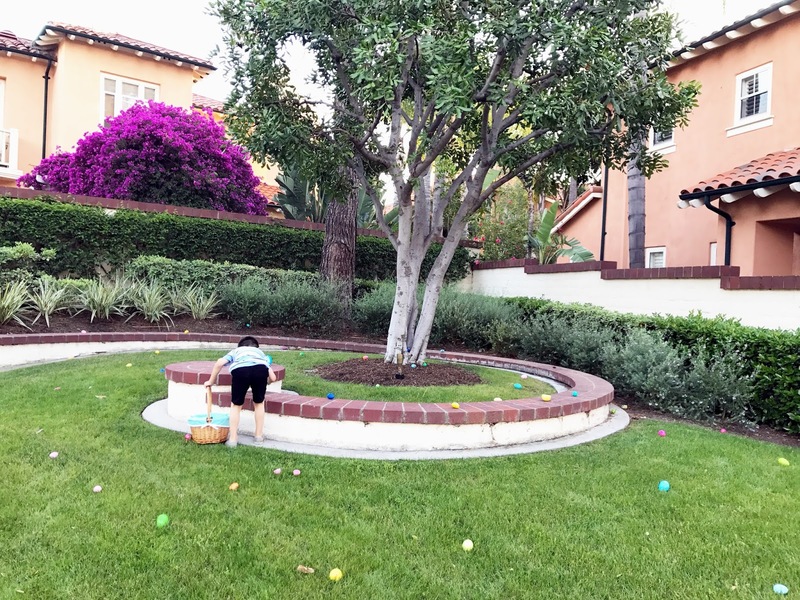 Such a fun idea, and I'm totally tucking that idea away for when Julia is older. I'm so glad you were able to get Mason into your school of preference! 2) I want a nail truck, holy fabulousness! 3) Im amazed by you, your move and all the stuff you get done- youre Super Woman. He's all set for elementary school next year -- does this hurt to say/type? Because I hope that Connor's Pre-K year goes by at a snail space. I am not ready to send my little guy off to elementary school just yet. Or ever really. I love these posts and have drafted a couple myself! I think your Mason and my Mason had the same basket cover. Was it the monogramed “M” from Target? I love those! He looks so happy with all of his eggs he found! That nail truck is so cute! What is in the little pouches on the wall that says “Perfect Match”? You and Seth are such great parents to move so that Mason gets a better education! He is such a blessed little boy. Yay on finishing speech! !